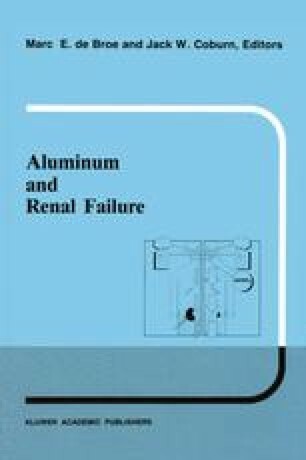 While the clinical ramifications of aluminum toxicity are well known and have recently been well documented, many of the underlying causes for these toxic effects are unknown. In order to understand the bases of these clinically-observed symptoms, experimental systems have been designed and studied which have attempted to approximate some of the effects of aluminum in the human body. These model systems have typically been designed to study the effects of aluminum on skeletal and central nervous system tissues, as well as to investigate aluminum metabolism and turnover. Further, such endeavors may be grouped into two experimental genre: Physical-chemical and biological studies.